Oh GOSH is this to cute or what!!! 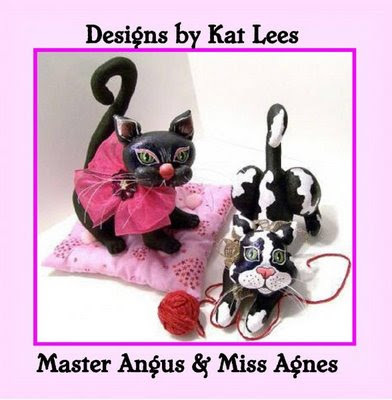 My friend Kathy Lees newest pattern Master Angus and Miss Agnes..I want to make them for Halloween!! Won't they be just adorable all primed out! Then for my sister I want to make a set fot for Christmas really whimsical!! This is a really inspiring site..Plus has many patterns and tools we all need and use.
" 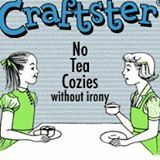 Crafty Avenue is a gathering place to learn, create, and share your love for crafting. 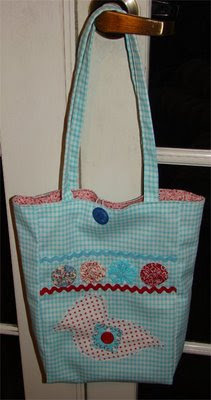 Our website is jammed packed with interactive fun such as a community photo gallery where you can upload photos of your crafts for free, a forum to connect with other crafters, play games, swap, and more, and a learning center where you can learn new techniques for free! We also have a shopping center filled with hard to find supplies and 100's of patterns from many talented artists. 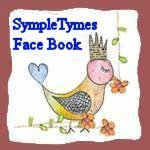 Plus, e-patterns and e-books can be instantly downloaded from our site! " Oh gosh this is such a fun read and wonderful group! What is the traveling Doll Project? This project is a collaboration of artists, all working individually on a group doll. A team of 6 people will end up with 6 dolls. Two team are participating for a total of 12 dolls being completed. Each doll will take a journey...starting and ending in the same place with a whole new look and story. 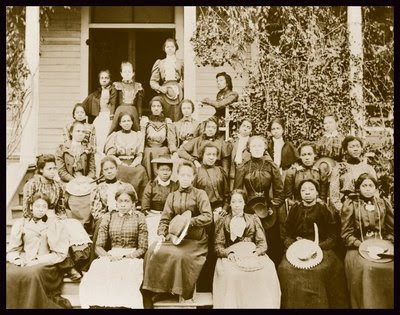 Women in aprons, united to fight for freedom & the constitution. 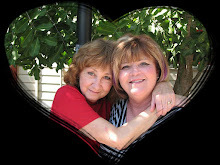 Tie one on & join other patriots at Tea Parties! Walking through a church that was built in the 1700's...Yes I did say 1700's!! Walking through their grave yard where buried was our American ancestors from the revolution war,AND before....EVEN ,before America was even birthed..With tears and great respect we looked upon each and every grave stone with their birth dates and death dates standing in awe knowing they gave their life for each of us.To bring forth America..This was truly humbling..We saw head stones made from granite that were so old they looked like petrified wood..Just a simple Church with stain glass window..Tall steeple..to the left was this simple grave yard that was full of history beyond any words..As things had started out to be and yet we stood knowing how they are in our time at this moment..
it was like time had stood still and we all just picked up where we had left off..They took us and showed us some beautiful sights.We laughed and had the best time..Yes cried when it was time to leave..Hopefully our home will sell soon and we will be together again! wow there are no words to explain our vacation! 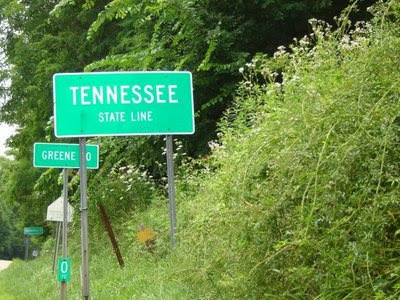 It was totally God's country in TN. 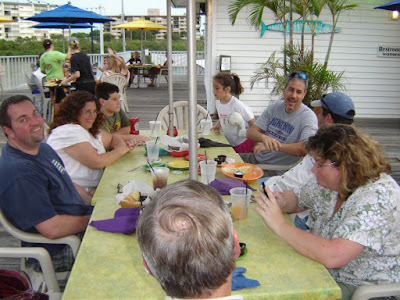 So many things and sights and love and fun we did get to see and do..
Ending our vacation with a visit from our son Brian who got to come from Michigan to Florida for two days..So we had a family get together at Jimmy Iguanas on the beach. Now it is back to reality! as I sit and write this hearing our familiar sounds of our home..
Washer and dyer humming along..Hearing our birds chirp and doing their thing..Hubby back at work..How easily we fall back in to our daily routine.But with a lighter heart and smiles on our faces and so much Love in our heart. 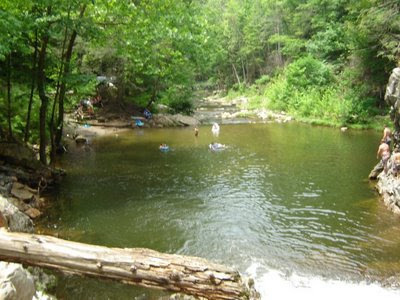 We now looking for ward to our Christmas trip to TN (If we haven't moved there ) to meet with our son Brian and his fiancee Samantha from Michigan..We will stay in a cabin once again just enjoying our time together and making even more memories!! 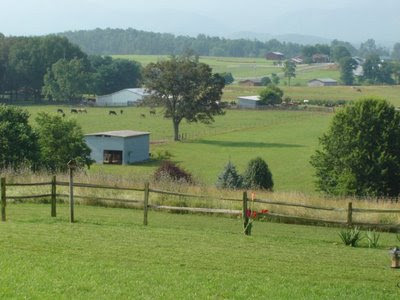 Rounding every thing up..Cleaning the house, Packing up, getting ready for "Vacation Tyme"
SO looking forward to hubby and I and our 4 legged little girl Angel to get in to the car and off we will go!We will be staying with bestest friends and going hiking, white water rafting and gemming also! Just to explore and enjoy and to relax and love the Mountains and soooo much more. Then when we get back home our son who moved to MI in January, will be here for two night yippie! That will be extra special having our family all together ! I will talk to you all in a couple week! I might be able to post once in a while, we are taking our lap top..depend on internet:) Or even if I want to take the time cause when your on vacation it is hard to make time for the computer!! Linen is one of the earliest products known to civilization. Nope it was not cotton! But Linen! When the tomb of the Pharaoh of the Exodus, Rameses II., who died 1258 B.C, - 3,000 years ago - was discovered in 1881, the linen wrappings were in a state of perfect preservation..Linen is one of the earliest fibers to be made into string and cloth. It comes from the flax plant, which grows all over the Mediterranean region. Flax is a tall, reed-like plant, with long fibers which make it easy to spin into thread. You pick the plants, and then leave them to soak in a tub of water or a stream until the hard outside stem rots away and leaves the long, soft fibers underneath. This is called retting the flax. Takeing the fibers and spin them on a spindle into linen thread. Linen can be spun coarse, or it can be spun very very fine,It's up to the spinner. Get your free download copy now. RantRave said it the best!! The Kevin Skinner video (from last week’s America’s Got Talent) is the best bit of TV in years. 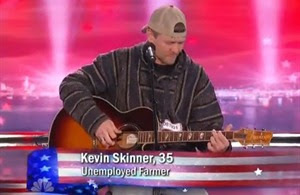 An amateur guitarist and professed “chicken catcher,” Kevin Skinner is going to be the next American star. It’s great that the Kevin Skinner video is making headlines right before Independence Day – because this guy is a true-blue American. His tone and lyrics really touch me, and I know they’ll affect you too. If you still haven’t seen the Kevin Skinner video, watch it on the left. Even after the judges on America’s Got Talent tease him, you can see in the Kevin Skinner video that he doesn’t care what they think – then he blows their socks off with his heart-tearing rendition of “If Tomorrow Never Comes” by Garth Brooks. Happy early Fourth of July, and remember Kevin Skinner. Video like his is what our country needs right now. It’s salt of the earth like Kevin that will guide our nation out of our recession! 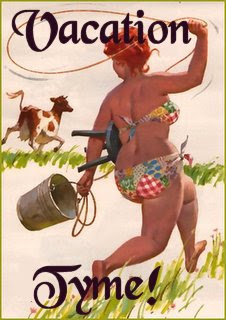 They love Primitive,Folk Art ! 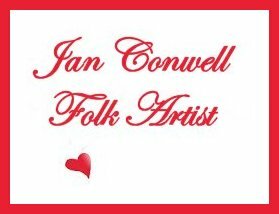 This newsletter is just slammed full of intrestimg artists and information..check them out!! I am so excited I have a new E-pattern out! 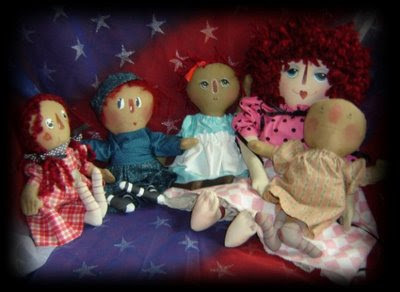 Annie Sweets is a 10 inch Raggedy Doll..This is a class showing step by step how to create your very own Raggedys. You will learn Primitive, Folk Art, Whimsy,Girl and Boy...How to paint Raggedy faces You can display SympleTymes Originals wonderful Prims , Folk Arts ,Whimsies , Vintage , on a shelf or a table any where you want to add a special yesteryear touch , They will be a welcomed addition to your Primitive/YesterYear/ Folk Art Collection!